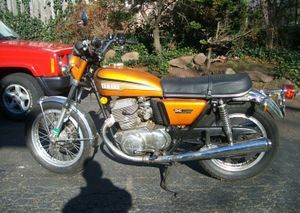 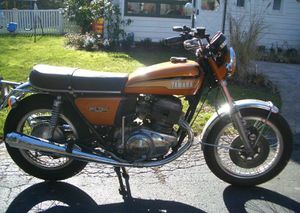 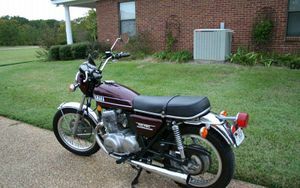 The Yamaha TX750 is a motorcycle produced by Yamaha from 1973 to 1974. 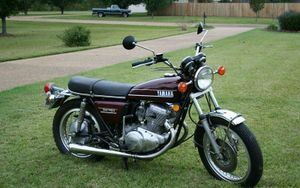 At the beginning of the Seventies, Honda was still market leader by a considerable margin, despite the astounding rise of Yamaha, whose very sporty 250 and 350cc twin cylinder two-strokes seemed to be everywhere. 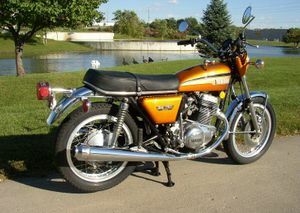 1 Two-Stroke, Four-Stroke or Rotary? 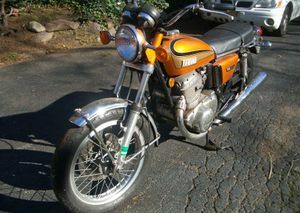 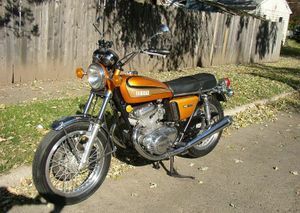 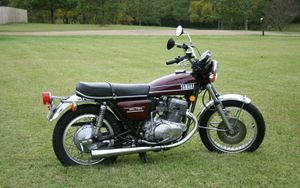 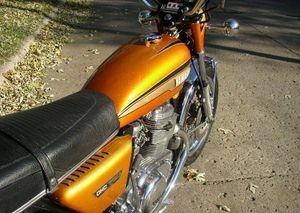 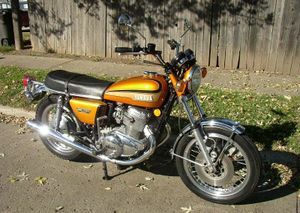 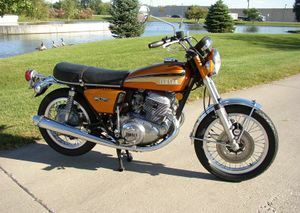 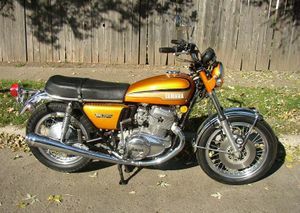 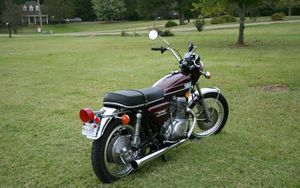 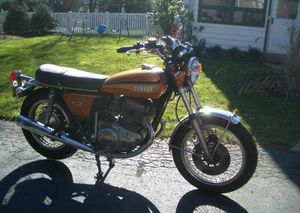 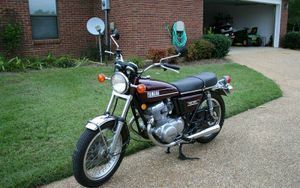 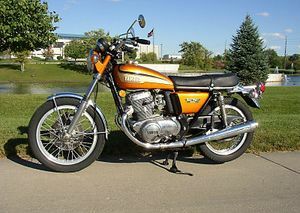 In 1970 Yamaha only had one four-stroke the XS650 twin-cylinder in its model lineup. 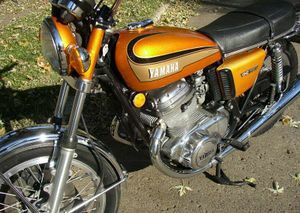 Anxious to join the exclusive club of companies making "big bangers", Yamaha revealed the depth of its ambition and its uncertainty over which direction to take by unveiling some quite remarkable prototypes. 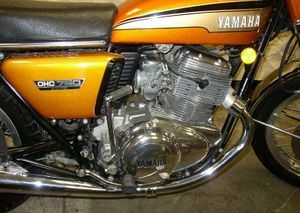 These included the 1971 GL750, a fuel-injected four-cylinder two-stroke with liquid cooling, and the rotary-engined RZ201 unveiled in 1972. 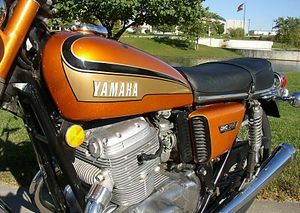 But ultimately Yamaha chose to follow an entirely different path and in 1972 put its first large modern four-stroke, the TX750, on the market. 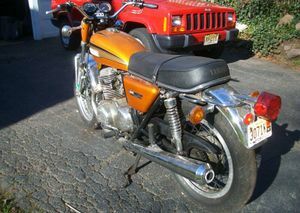 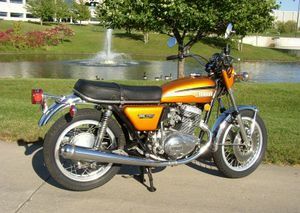 Compared with the sporting Kawasaki Z1 900 which went on sale in 1973, Yamaha had taken a very cautious route, with a twin-cylinder four-stroke grand tourer intended to pick up the torch dropped by the British vertical twins. 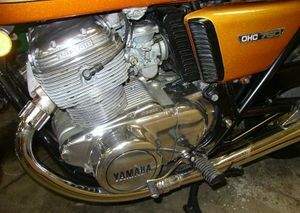 There was one major difference: the inherent vibrations of a 360 degree parallel twin were eliminated by chain-driven balance shafts. 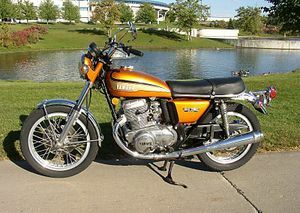 It was a sound idea and it was widely accepted. 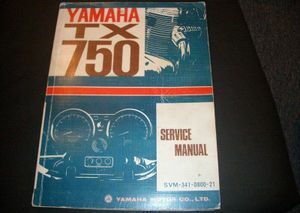 Unfortunately, the TX suffered from a number of major problems: it broke easily and overheated too often. 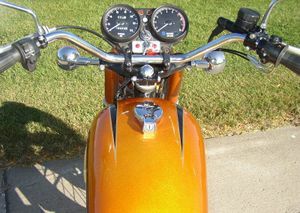 This page was last edited on 28 November 2010, at 22:45.